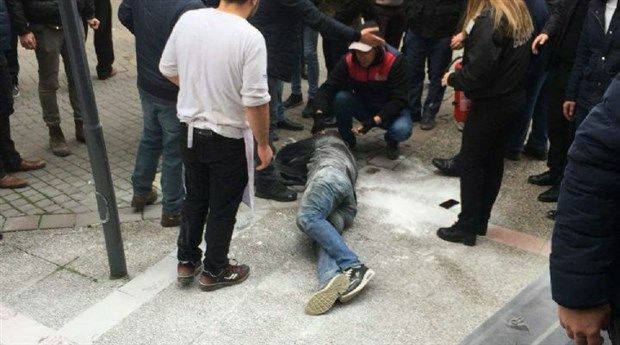 A 35-year-old man has set himself alight in front of his local municipality building in the western Turkish city of Balıkesir, after a long period of unemployment, the opposition newspaper Cumhuriyet reports. Since he became unemployed, Muhterem Birgül had applied unsuccessfully on numerous occasions to the local municipality for work, before finally igniting himself in front of its building on Jan. 29. Birgül was taken to hospital after the suicide attempt, but is still in life-threatening condition, reported the opposition Republican People’s Party (CHP)’s deputy for Balıkesir, Mehmet Tüm. The local mayor, Yücel Yılmaz of the ruling Justice and Development Party (AKP), called the incident “saddening”, but said he did not know whether or not to believe it as reported. This incident is the second occasion in January when a desperate individual has set himself alight in front of a government building. Sıtkı Aydoğmuş, a 39-year-old worker, self-immolated with petrol in front of the Turkish parliament on Jan. 12. Aydoğmuş was unable to earn a living after an accident five years ago at his workplace. He was fired two months later, and has been unable to claim compensation. Karesi ve Altıeylül Belediyesi'nin bulunduğu binanın önünde kendini yakan yurttaş ambulansla hastaneye kaldırıldı. CHP Balıkesir Milletvekili Mehmet Tüm, yaralı yurttaşın hayati tehlikesinin sürdüğünü açıkladı. AKP'li Karesi Belediye Başkanı Yücel Yılmaz ise olayın üzücü olduğunu belirterek, "Olay kurgu mu bilmiyorum" dedi.